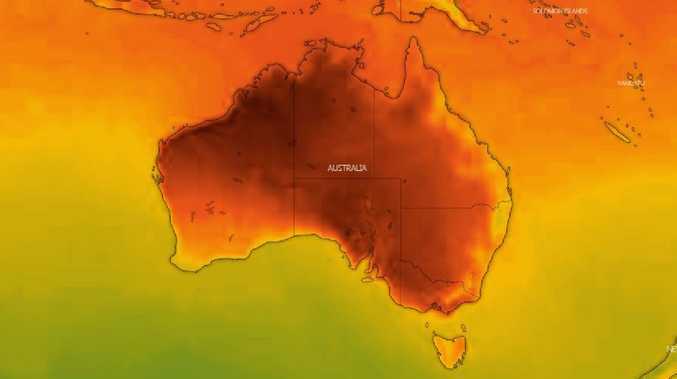 The country on Friday afternoon — south eastern Australia is set to see scorching temperatures heading into the weekend. Picture: Windy. At 9am this morning at Adelaide Airport it was already 32C and forecasters have warned it could top out at 40C today. In December, 26C is about as hot as it usually gets. That same heat is on its way to Melbourne with forecasters warning of a "summer scorcher" over the next couple of days. But in Queensland it's torrential rain that's the threat. As the heatwave subsides, the remains of tropical cyclone Owen could lead to flash flooding as up to 200mm of moisture descends. "Already across South Australia it was a hot day on Wednesday. For the next 24 hours that will spread right across the south east of the country," said Sky News Weather channel meteorologist Tom Saunders. 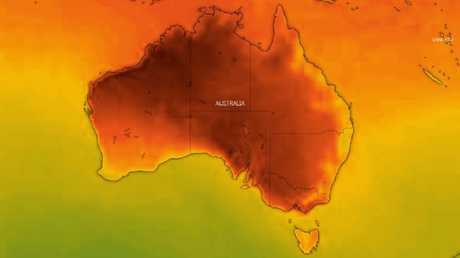 "We are expecting the hottest weather since last summer with temperatures about 15C above average for some parts, a heatwave across the Murray basin with heat lingering and severe fire dangers. "It's only the first week of summer but summer scorcher is developing." In Victoria, Melbourne's 35C on Thursday will be surpassed on Friday as the dial hits 38C while Mildura's maximum temperatures are unlikely to get much below 40C until Sunday. The Victorian Government has labelled it "extreme heat" and has urged people to hydrate and keep cool. Mr Saunders said the heat was due to a high pressure system in the Tasman Sea: "High pressure systems blow anticlockwise around highs; that means a northerly air stream that brings hot air from the northern interior right down towards the south-east." A cooler change should hit South Australia later on Friday and then Victoria on Saturday. Adelaide will go from a forecast high of 37C on Saturday to a far more average high of 26C on Saturday. Melbourne's maximum could drop an astonishing 14 degrees between Friday and Saturday to then settle on 24C. But that relief won't reach further north with Mildura and Broken Hill likely to stay above 35C for the next week at least. "The other huge weather event is Queensland. It's just had a record heatwave and now it's severe showers and thunderstorms," said Mr Saunders. 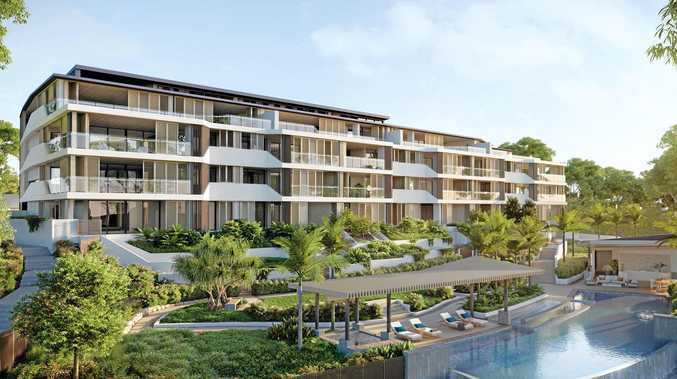 "There's a risk of flash flooding in central Queensland including Townsville, Mackay and possibly the Capricornia," said Mr Saunders. "Expect at least 50mm to fall from Fraser Island to the north tropical coast. Some areas could see 100mm or even 200mm but that depends how close this ex tropical cyclone gets."